Tele 2 Austria’s managed services division had a network management environment that was distributed across Netcool Omnibus, Impact, and Proviso, with some Nagios, and integrated with Cramer and Remedy. Providing managed services to their customers was getting more complex and expensive using the legacy and disparate tool sets. Further, Tele2 was planning an acquisition to expand their customer base, therefore new services were needed to remain a better customer experience within the European market. Tele2 concluded that it was necessary to make an OSS transformation to dramatically reduce operating expenses and increase efficiency during growth, speed up time to market for new service offerings, and provide proactive and customer centric service visibility. The existing Netcool implementation of a suite of products was not meeting Tele2’s cost efficiency, business agility, and customer experience management goals. Eirteic, a Monolith Software partner, analyzed the Tele2 Austria’s business requirements and network management environment. Eirteic recommended a “like for like” replacement of their NetCool and Nagios implementation with a single Monolith Software implementation, what would also maintain the connection to Cramer for event enrichment and to Remedy for ticketing. 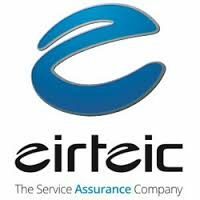 Further, based on their knowledge and confidence in the open and unified Monolith platform, Eirteic provided a fixed price implementation project that took less than 100 days of services work to complete the entire Netcool, Proviso and Nagios replacement. This was possible since Monolith unifies fault, performance, topology, and service level monitoring in a single scalable platform. Further, with an open architecture based on LAMP that includes a single database and open rules management, partners can easily implement, integrate and support a next generation service assurance solution. In the resulting implementation, Monolith rules files easily replaced the existing Netcool Omnibus event processing that was previously done by multiple Omnibus probes and custom application sockets, including mapping fields to provide the same event workflow. For the Remedy integration, a Monolith generic database connector was used to implement the same event flow format to synchronize and enrich Remedy tickets. No changes were required to the Remedy implementation. The Netcool Impact implementation and 5 Impact policies were replaced with standard Monolith event correlation and enrichment capabilities. Event enrichment and right click integration was done through a generic database connector to Cramer. The Omnibus ping probes were replaced with Monolith metric (performance) manager pollers. All core devices are pinged at 3 minute, customer devices at 2 minute and edge devices at 5 minute intervals. Tele2 had some custom requirements with regard to the flow of events generated from monolith metric manager to remedy and the consequent updates that are propagated back to monolith. These were easily accommodated using monolith rules and mechanizations. The Netcool Proviso implementation was replaced with Monolith metric manager capabilities, including polling core and customer devices for health metrics, network interface metrics, and customized QoS metrics at 5 minute intervals. Further, to maintain the “like for like” requirements, custom Nagios scripts were replaced with Monolith threshold monitoring capabilities. The fully multi-tenant and single database Monolith implementation easily supports Tele2 Austria’s managed service business which has over 10,000 devices across 900 customer user groups. External customers were provided with complete visibility of their own device metrics, and provided with custom monitoring as required, including customized ping polices and threshold monitoring of metrics. Tele2 internal users have full access to event lists, filters, policies, device metrics, and reports to proactively ensure their customer requirements are being exceeded. With the implementation of the single, unified service assurance solution from Monolith Software, Tele2 slashed network management costs and introduced a new level of business agility. Their cost savings quickly exceeded the new software cost. Their new customer centric, service assurance process enables Tele2 to spot developing customer demand and deliver new services before their competitors. With this transformation we’re building a solid, seamless platform for scalable growth, As a leading telecom operator in Europe, we continually strive to drive efficiencies in operating expenses as we grow, while delivering leading edge-services. Our Monolith Software platform has dramatically reduced costs while accelerating speed-to-market for service offerings and proactive customer-facing visibility.